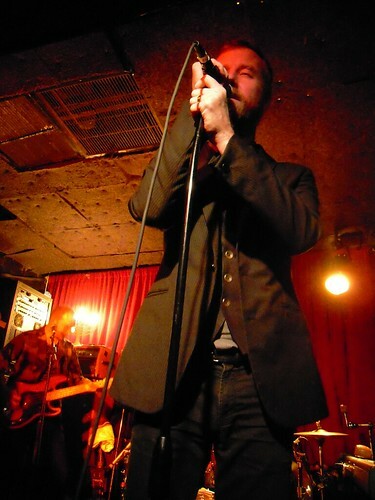 We believe we over-extended ourselves on the recording of The National at Maxwell’s that appeared on the site last week [here]. Acidjack and I both recorded four tracks at the show, and we combined the eight tracks for that recording. The sound has been equally described as “amazing” and as “compressed”, but ultimately to me it sounds “too busy”. So we’ve decided to simplify the recording, split our sources and offer two separate recordings of the set. There is a complete review of this show at the original post [here]. What appears below for download are these two recordings, nyctaper: Neumann microphones mixed with a soundboard feed, and acidjack: DPA and Schoeps microphones, four channel audience mix. If you email nyctaper for access to this recording, we expect that you will PLEASE SUPPORT The National, visit their website, and purchase their official releases from The National’s Shop [HERE].